Heritage churches are a vital part of the Broads landscape, visible evidence of Christian heritage that stretches back to the 7th Century. They mark the landward edge of marshes and stand alone above green pastures and still waters. They are the oldest buildings in city, towns and villages. A great number are open to the public and a warm welcome awaits people of all faiths and none . Most Broads’ churches are part of the Diocese of Norwich. 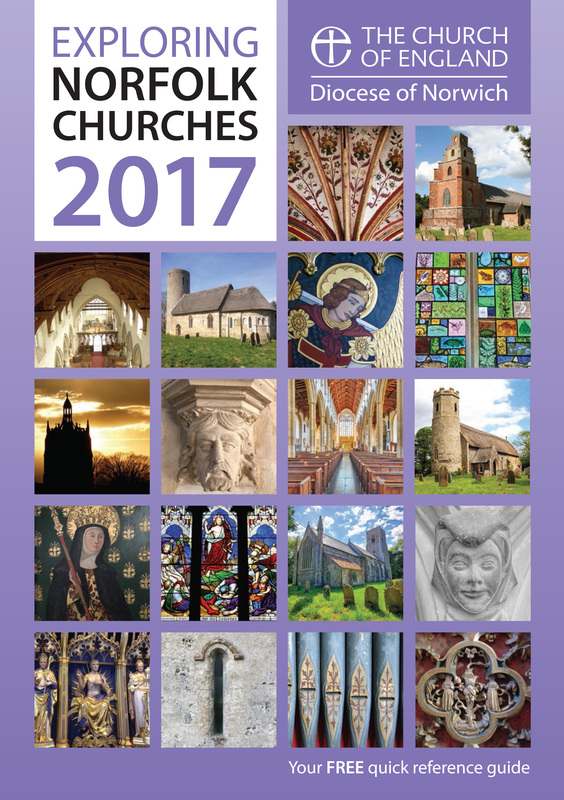 Details of their normal opening times are published by the diocese in the Exploring Norfolk Churches booklet. The information is also available on-line using this Search Facility. Individual church’s service times can also be discovered by consulting A Church Near You. South of the River Waveney, the parishes of Beccles and Bungay are part of the Diocese of St.Edmundsbury and Ipswich. An explosion of church building after the Norman Conquest saw wood replaced with stone and new churches founded. 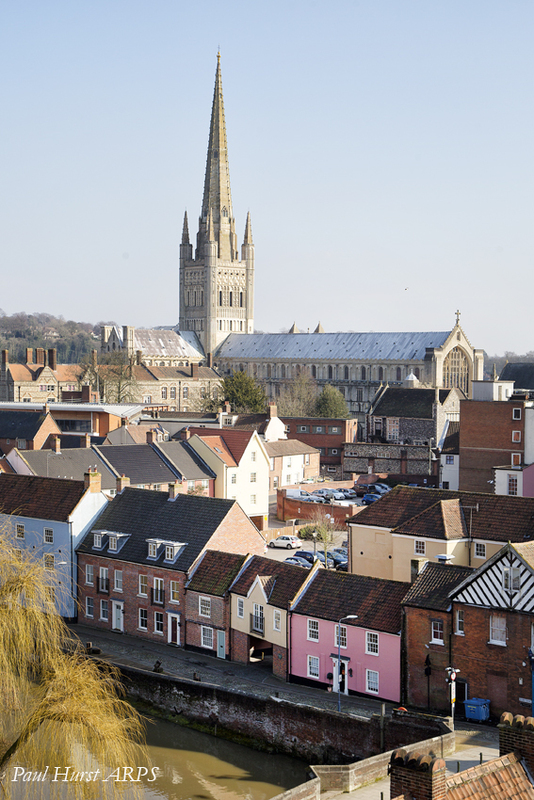 Not least, the magnificent and monumental Norwich Cathedral , where work began in 1096. Inspired by the churches of Rome, the first phase was built in the Romanesque style. Across Norfolk and Suffolk, the majority of new-builds favored the established Anglo–Saxon style. They made extensive use of salvaged Roman brick and were more sparing in the use of limestone. Typically, these churches had round towers and thatched roofs. But, with a nod to the new fashion, many also incorporated elaborate Romanesque doorways. Over the years, churches and cathedral were extended and remodelled in a variety of styles. The height of towers and roofs were been raised and more light let in through bigger and better windows. In spite of all the changes, the iconic round towers and thatched roofs of the Anglo-Saxon style are still common in the Broads. The church building spree came to an end with the Dissolution of the Monasteries in 1534. The Reformation that followed was a time of unrest, during the course of which worship and churches were transformed. Stained glass, holy statues and paintings were destroyed, pilgrimage and masses for the dead forbidden and an emphasis placed on scripture and preaching. It was not until the 19th Century that there was a renewed interest in church buildings and religious art. Since when, many churches have been restored and beautified, efforts have been made to conserve the riches that survived, worship has been renewed and the practice of pilgrimage is being restored. You’d expect to find something wonderful behind a door like this! You would not be wrong! In part, church buildings are like fossils – signs of past life! But our working churches are more than that. They continue to be houses of prayer where the local Church gathers and God is encountered. Even if a local church cannot manage to keep the building open during the week, visitors will always be welcome to join in public worship on a Sunday. Opening up to God can be just as tricky as opening up an stiff old church door. But it is well worth the struggle!